Collects WOLVERINE (1988) #133-149, HULK (1999) #8 and WOLVERINE/CABLE. Wolverine vs. the Marvel Universe! First, an alien encounter pits Logan against the Avengers and a host of Earth’s heroes! Next, kidnapped to outer space, Wolverine takes on the Collector and Galactus! 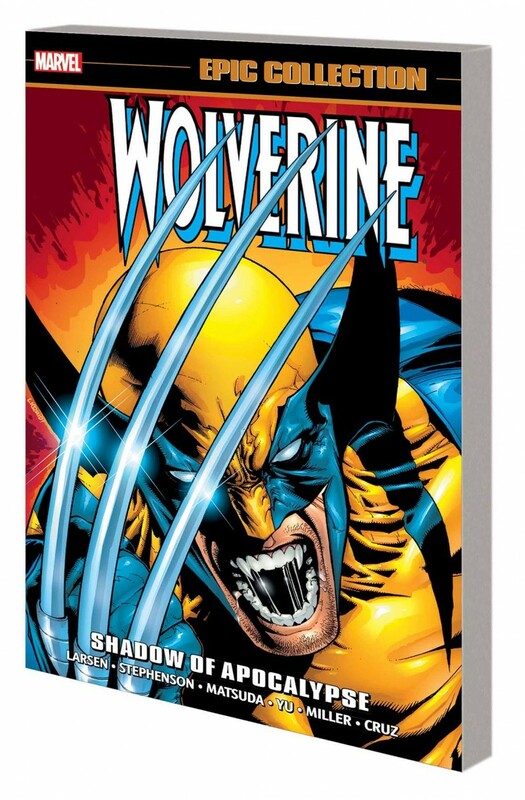 He’ll team up with Cable, Nightcrawler, Hercules, Alpha Flight and Nova, and face off against against the Hulk and the Leader - but is the Wolverine we know and love acting just a bit out of character? Then, Apocalypse turns the feral X-Man’s life upside down, transforming him into the lethal Horseman of Death - complete with the return of his Adamantium claws! Wolverine’s struggle to regain his freedom will pit him against the X-Men, force him to face his past, and lead to the Ages of Apocalypse - and the return of the New Fantastic Four!